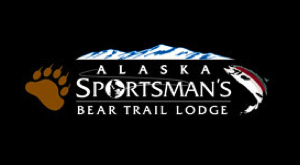 Alaska Sportsman's Lodge fishes by wading, drifting, casting, or plugging. 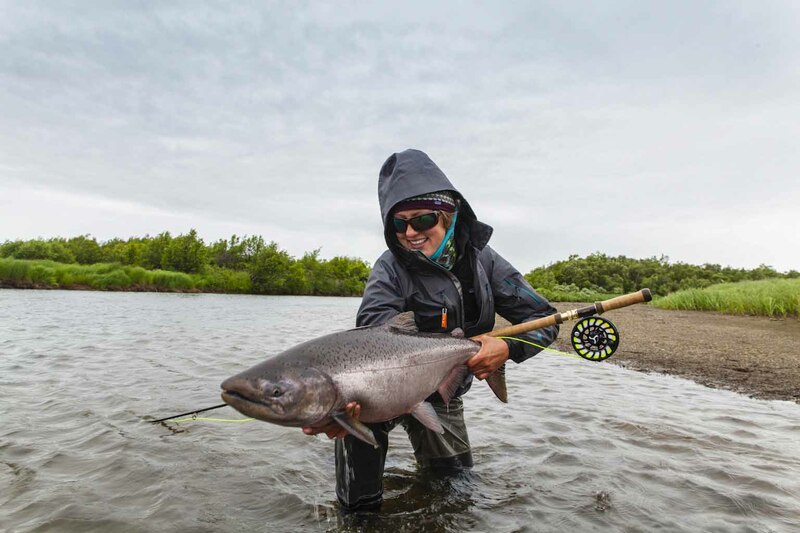 You can fly fish or use conventional gear. 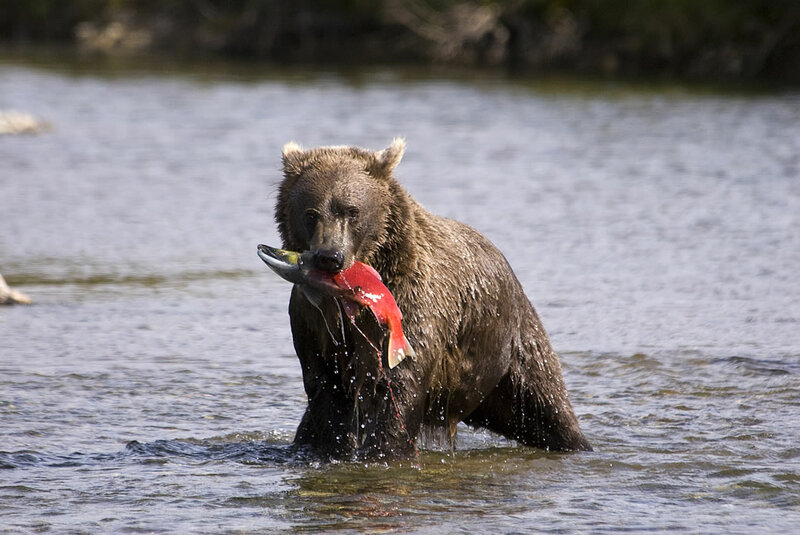 There are streams that are designated as fly fishing only areas and there are rivers that allow either fly fishing or the use of conventional gear. The type of fishing you do is your choice. 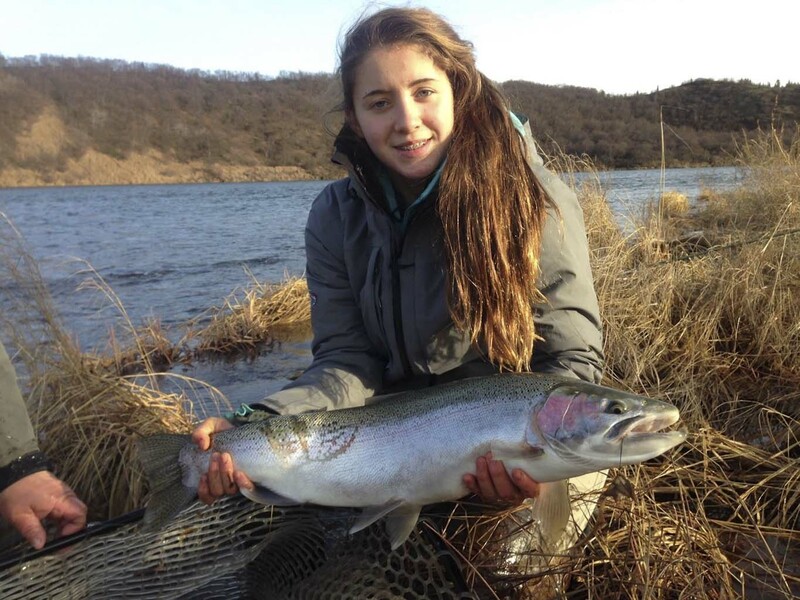 Your guide is there to help you and to educate you about the rivers we fish. 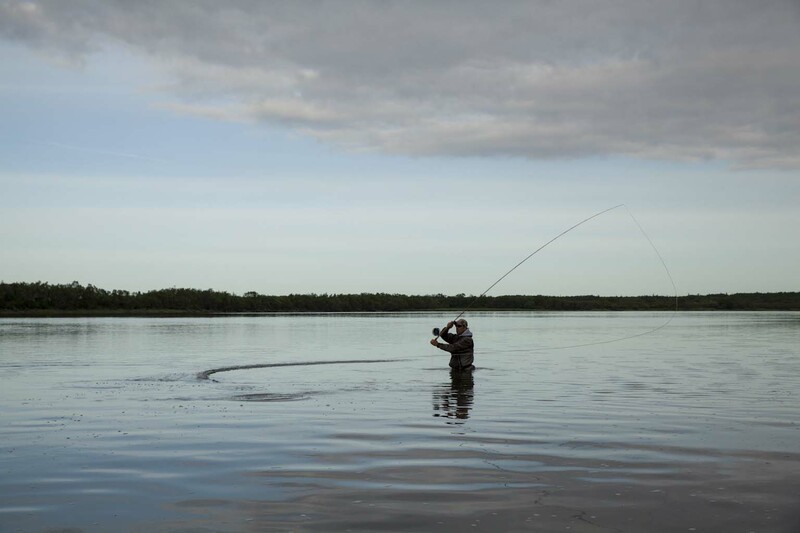 They will fish you whichever way you enjoy the most. 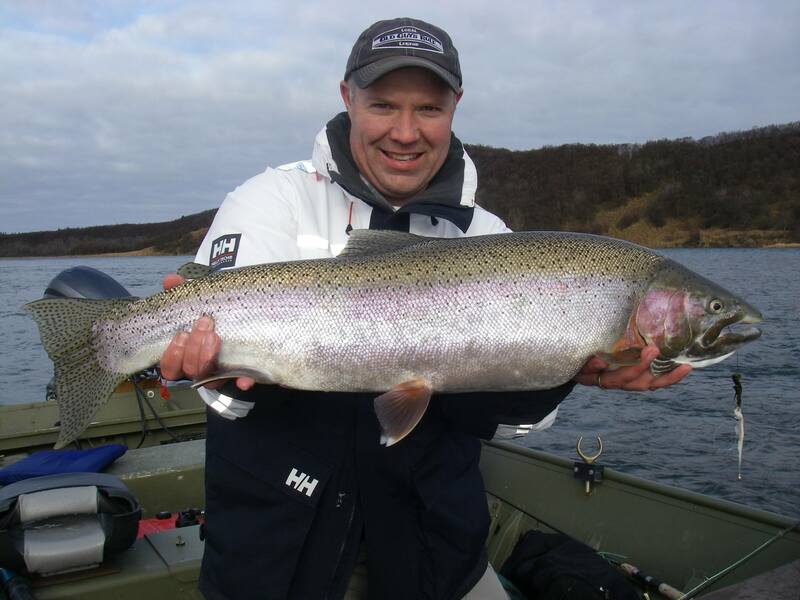 All of the methods are successful at producing fish. 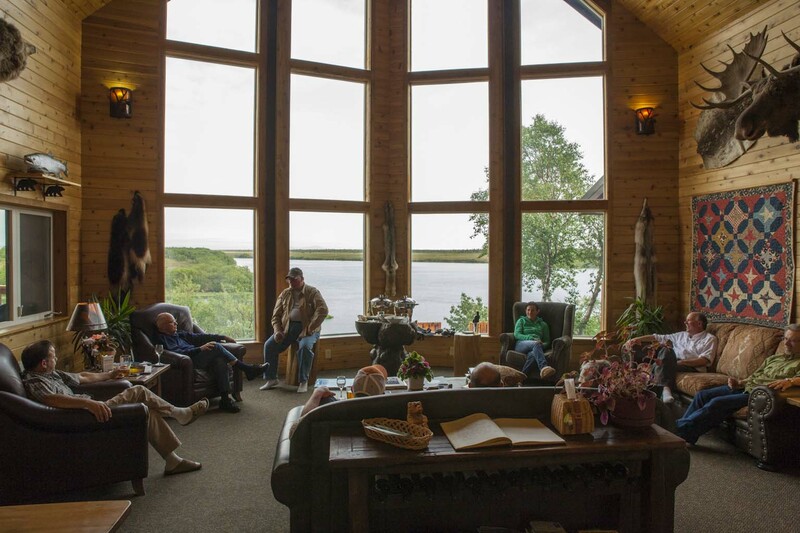 The location of the lodge, on a trophy class Naknek River, assures the guests that they will have the opportunity to fish every day during their stay at the lodge. 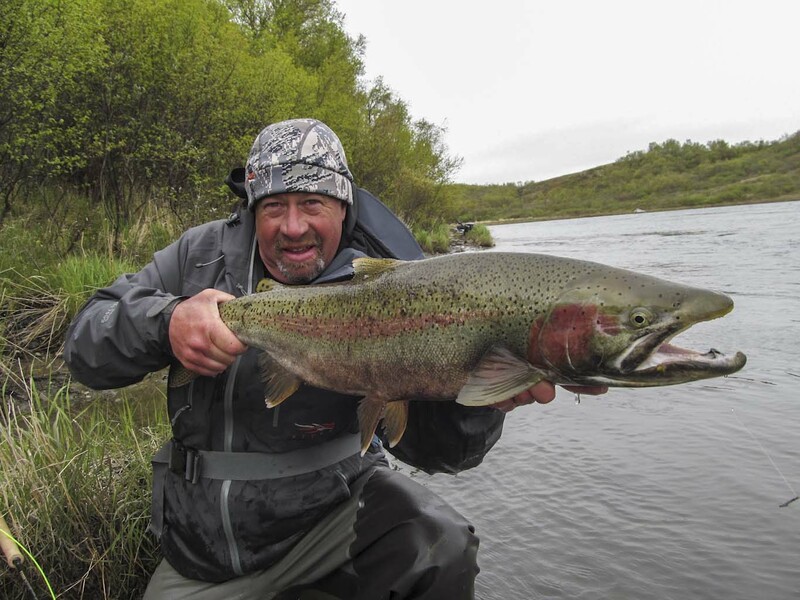 At the Alaska Sportsman's Bear Trail Lodge, the fishing is excellent on their "Home" river and they are very close to many "Fly-out rivers." 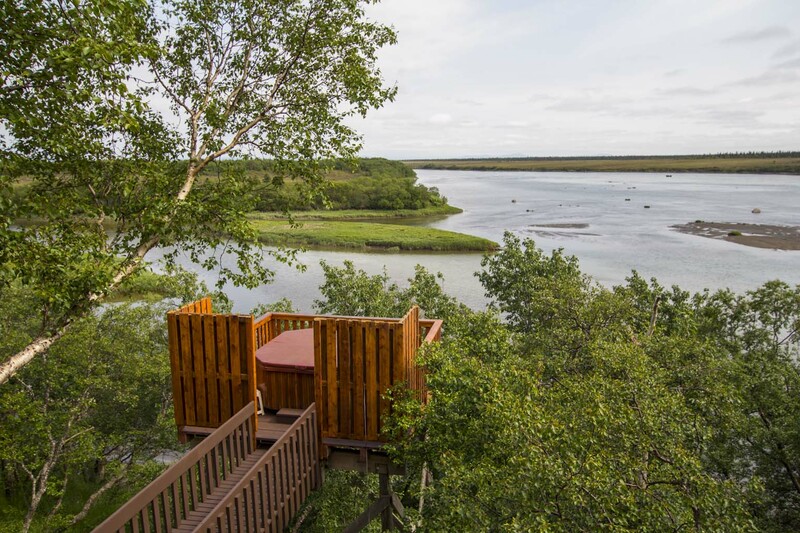 Many times throughout the season, especially when targeting big rainbow Trout, the Naknek is the river of choice to be on. 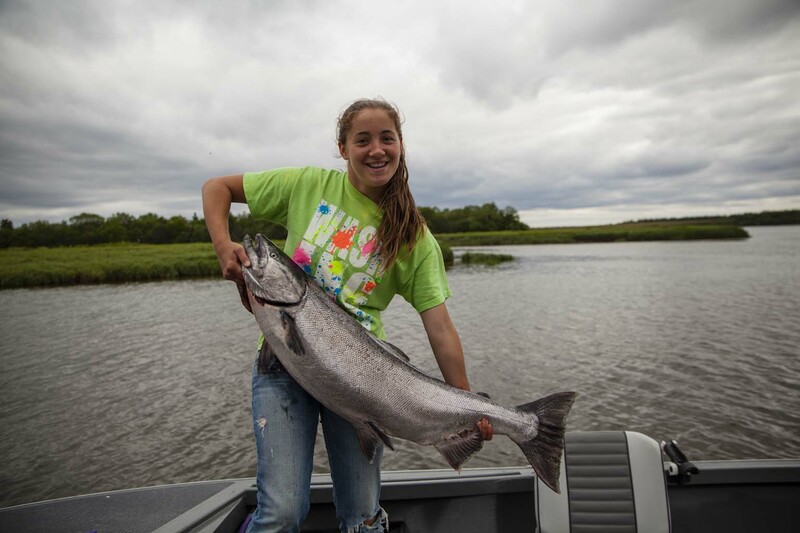 But, throughout the Bristol Bay / Lake Iliamna area there are tremendous fishing opportunities and they want their guests to have the chance to see and experience the flavor of this great area. 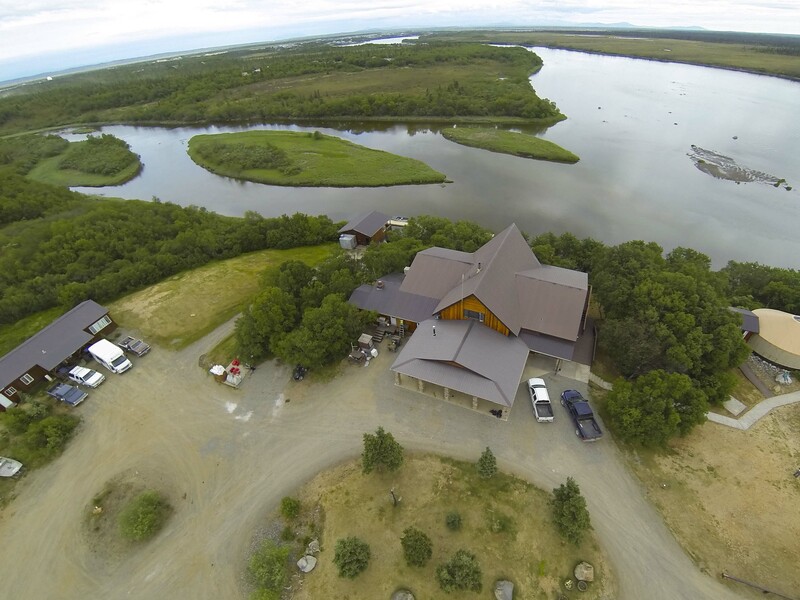 With that in mind, their program incorporates fly-outs to take guests to different rivers throughout the area to fish for salmon, Arctic Char, and rainbow Trout. 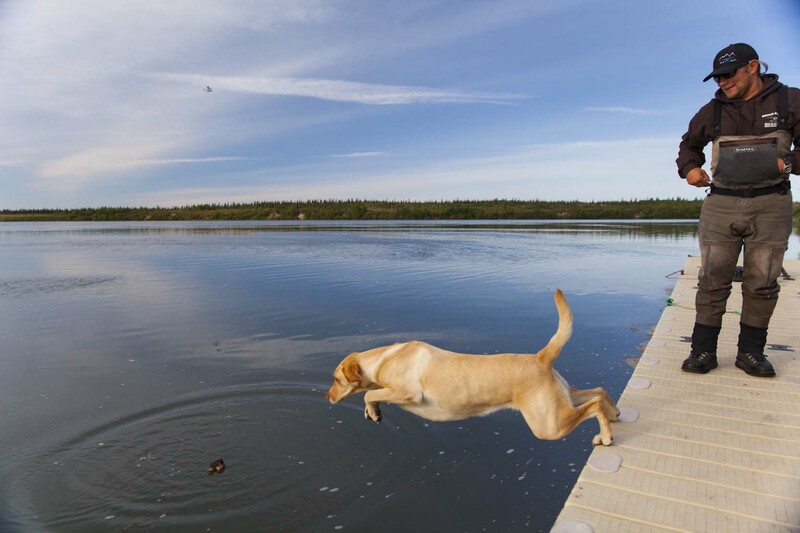 Their central location makes many of the remote streams very accessible and only a short flight away. 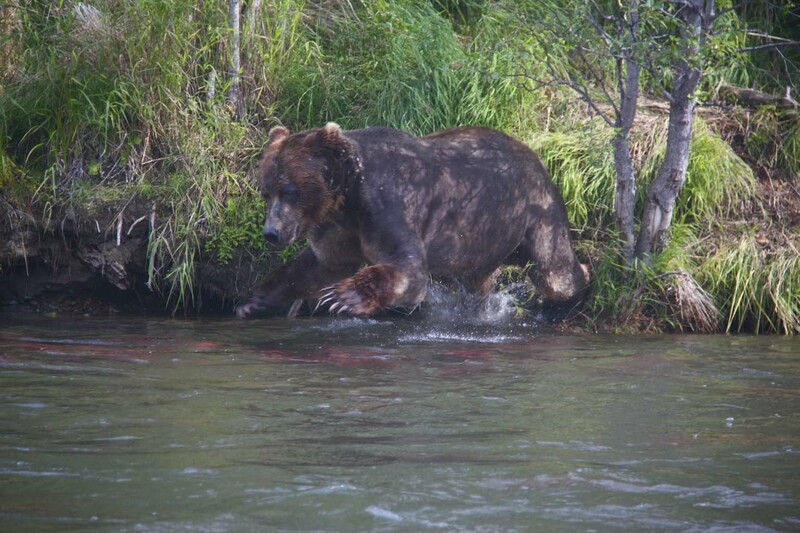 They are near Katmai National Park and Preserve and have permits to operate on "limited access" rivers. 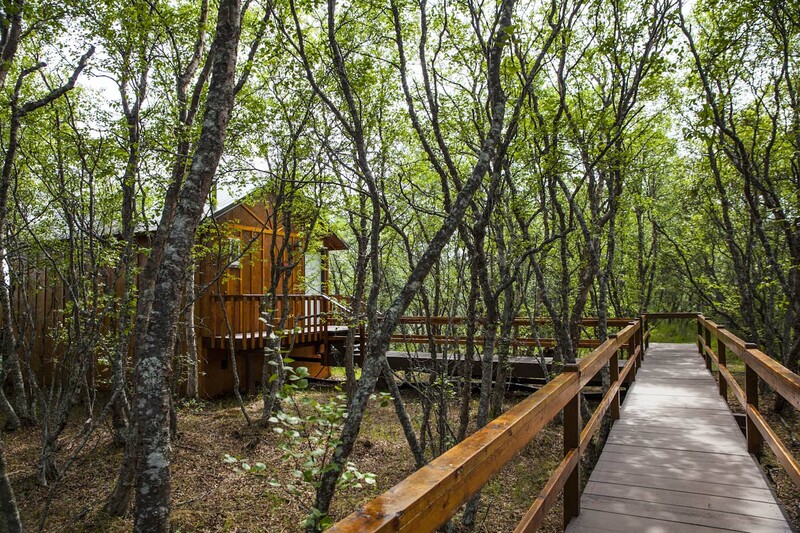 The Alaska Sportsman's Bear Trail Lodge consists of a very comfortable and inviting cedar main lodge that is complete with a commercial kitchen, a large dining room, a relaxing living room, a spectacular sun room with decks overlooking the stunning views of the Naknek River and the mountains of Katmai National Park. 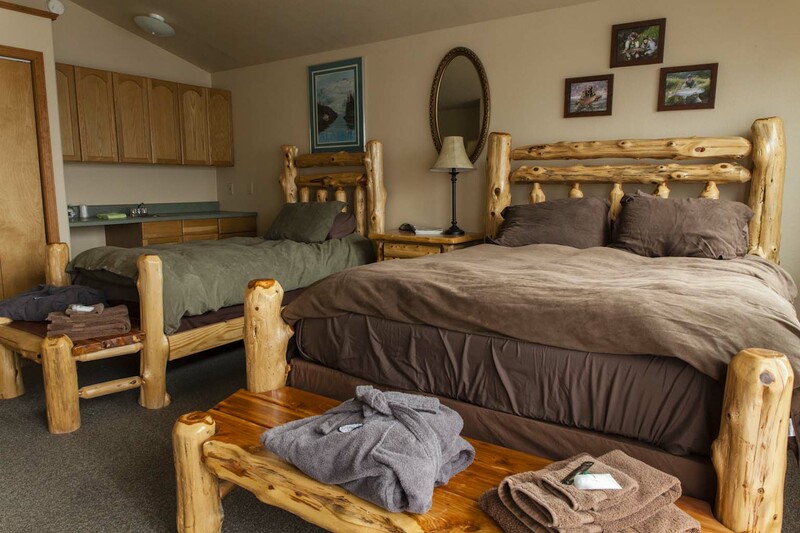 The guest cabins are well appointed with comfortable beds, private bathrooms, individual heaters, and comfortable couches. 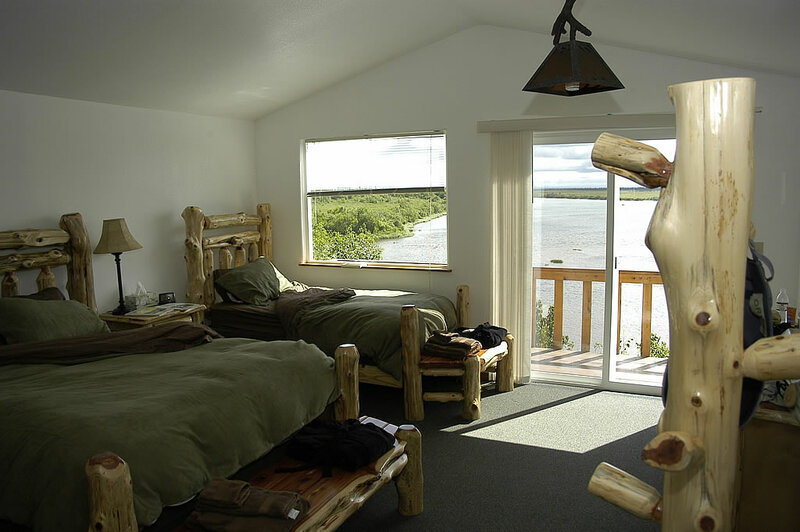 Of course all of the rooms have the impressive views of the river. 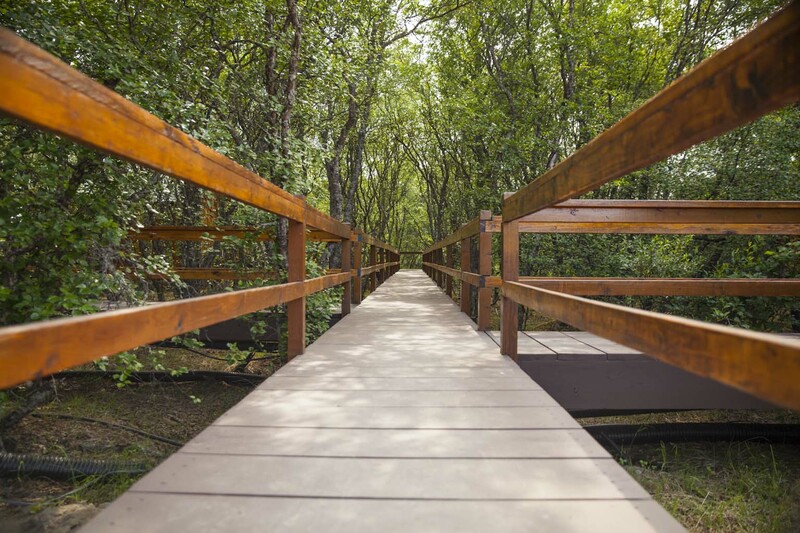 The entire lodge is connected by a boardwalk which will lead you to a dramatic deck with a hot tub that is elevated 70 feet above the river and provides guests with the opportunity to relax while reflecting on the adventures of the day. 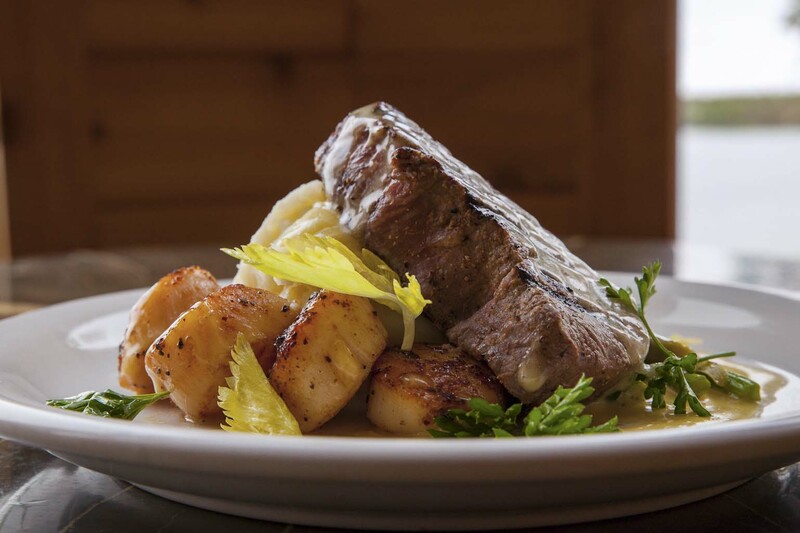 The lodge chef will prepare three hearty meals each day. 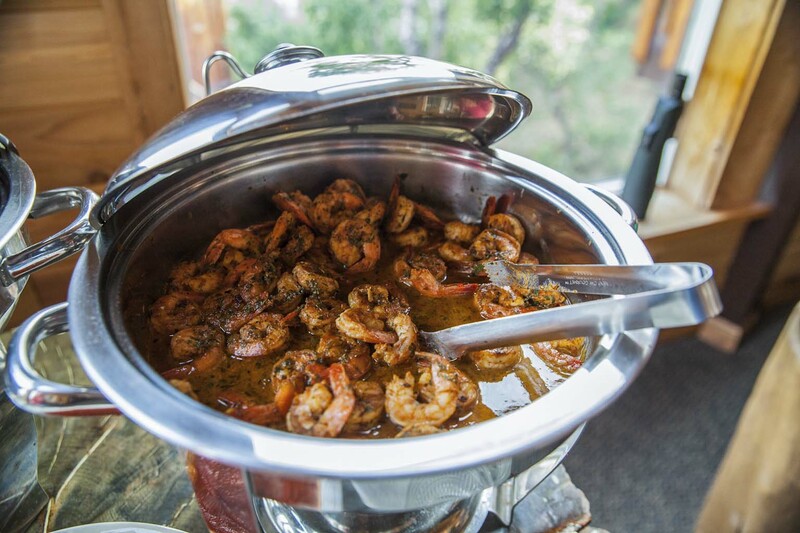 All meals are served home style and are all-you-can-eat. Breakfast includes hot and cold cereals, muffins, breads, fruits, eggs, French toast, pancakes, bacon, sausage, reindeer sausage, juices, and coffee. The lunch usually consists of sandwiches and soups. A shore lunch can be arranged with your guide and adds a nice experience on a nice day. 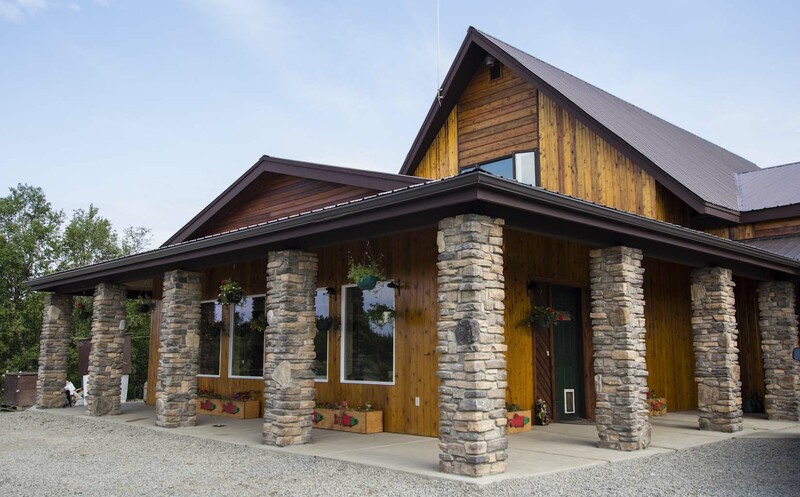 Dinner menus include Alaskan style appetizers, NY Strips, prime rib, crab legs, fresh salmon, halibut, shrimp, chicken, and pork. 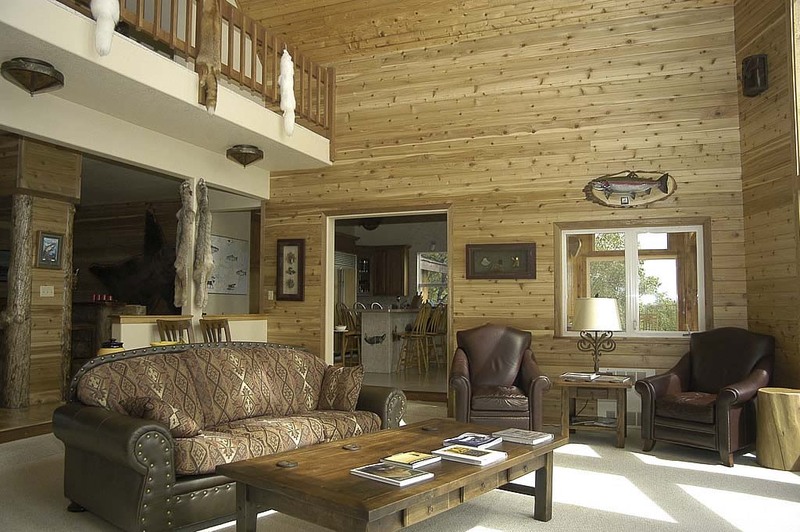 Complimentary beer and bottled wine is also served. Delicious desserts complete the meal.